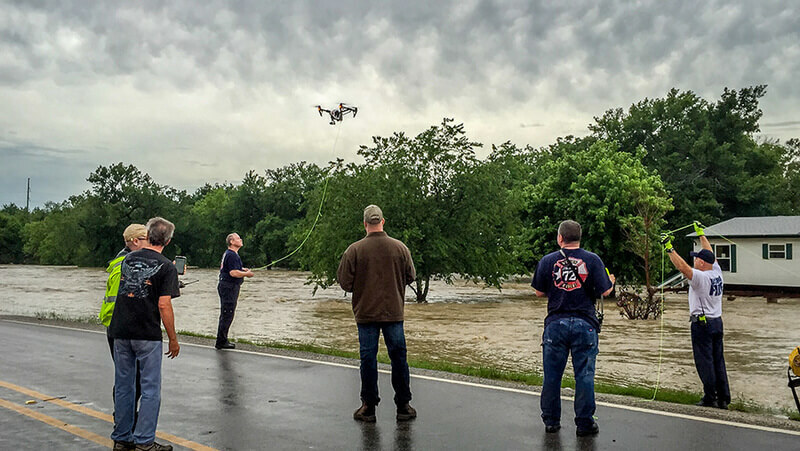 The Association for Unmanned Vehicles Systems International (AUVSI) today named eight finalists from the unmanned systems community as finalists for the first AUVSI XCELLENCE Humanitarian Award, sponsored by DJI, the world’s leader in civilian drones and aerial imaging technology. The AUVSI XCELLENCE Humanitarian Award will recognize five organizations and/or individuals that have made a significant impact using unmanned systems to serve in humanitarian or philanthropic efforts. Recipients of the Humanitarian Award will receive a $25,000 donation divided among their organizations. The eight finalists demonstrated groundbreaking efforts to improve lives by using drones for disaster management, medical assistance, and search and rescue.